Nikitha is proud of her 1,4m tresses but, boy, do they take some looking after! She’s like a real-life Rapunzel, her long blonde hair cascading down her back, reaching almost down to her ankles. But that’s where the similarity with the fairytale princess ends. 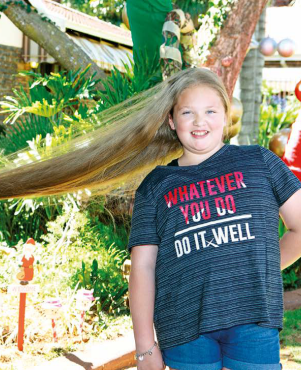 Nikitha van Reenen (10) has grown her locks since birth for fun. “I’ve never cut her hair,” her stay-at-home mom, Yana, says when we visit their home in Mountain View, Pretoria. “When her hair started growing we thought it was beautiful,” Yana says. “As she got older, she wanted to let it grow. The biggest challenge with hair this long is avoiding knots and tangles. At least once a week Nikitha and Yana set aside a chunk of time to tackle the tresses – usually over the weekend as it’s rather labour-intensive. 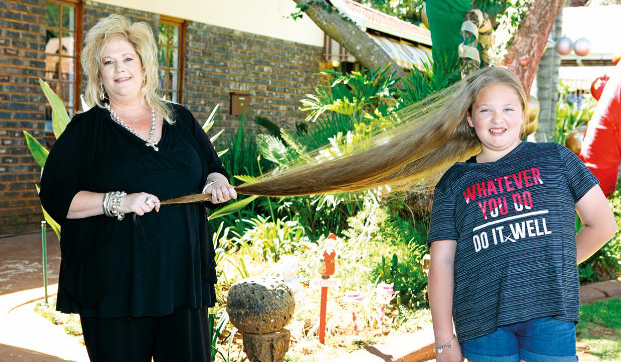 It takes Nikitha van Reenen and her mom, Yana, five hours every weekend to wash, condition and brush her hair. Shampooing is the easy part – it’s the brushing that takes forever. “The whole process takes us about five hours,” Yana says. After conditioning, mom and daughter take a seat in front of the TV, Yana with a brush in hand and Nikitha with her eyes trained on the screen. “She can watch at least one movie in the time it takes me to get through her hair,” Yana says. Nikitha is no wimp and doesn’t complain much but every now and then “we’ll have a spat about the knots and tangles”, Yana acknowledges. “We’ve tried every tip and remedy – the only thing that works is patience.” She views the drawn-out process as quality time spent with her only child. “We usually talk about all kinds of things,” Yana says. Nikitha’s dad, estate agent Hennie, is the one who brings home the bacon – and the hair products. Shampoo doesn’t last long in the Van Reenen home. “We go through about a litre of shampoo and a litre of conditioner a month just on her,” Yana says. “Initially we used cheap shampoo but it dried her hair out and caused terrible tangles. We apply silicone to the tips and she’s never had a split end.” In summer it’s a challenge to keep the locks in check. 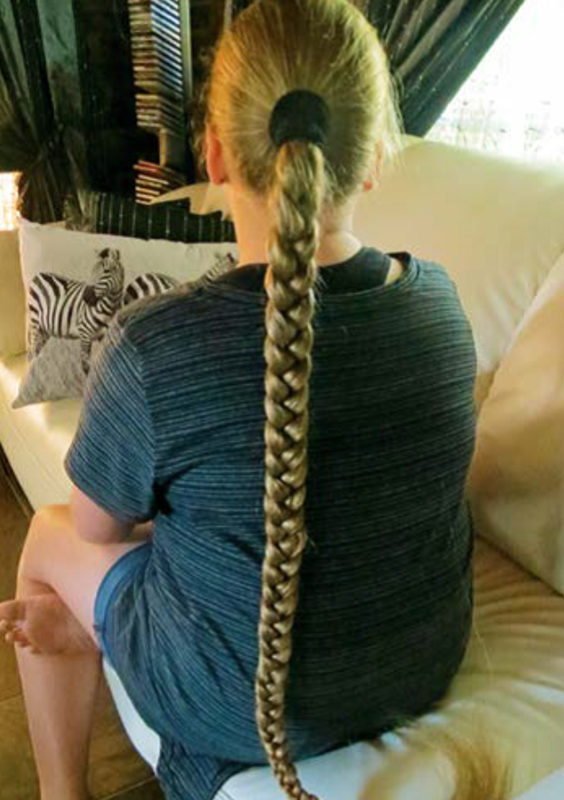 “Nikitha loves swimming and it’s a struggle to get the tangles out after she’s been in the pool.” But her Rapunzel years may be drawing to a close. “She often sees hairstyles she likes, such as French braids, but with her hair it’s just not possible,” Yana says. “For the school concert she wanted two ponytails, but can you imagine what that would’ve looked like? Until then Nikitha will continue going to great lengths to maintain her crowning glory.